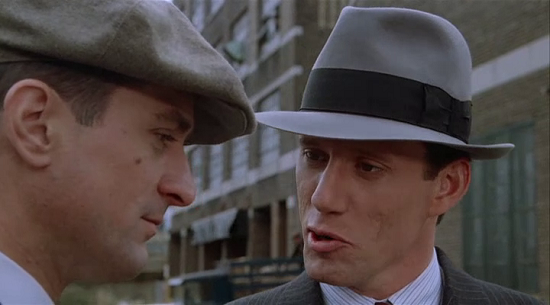 Once Upon a Time in America is a lazily hallucinatory epic that encapsulates approximately 50 years of American social history into a single film. I strongly recommend watching only the uncut version which last about 3 hours and 40 minutes. 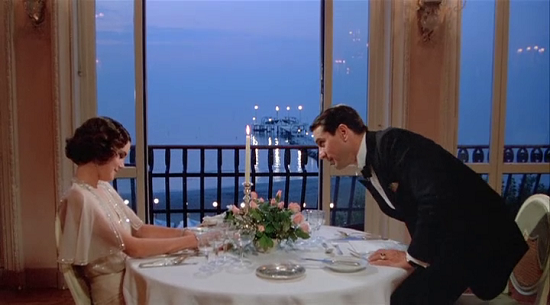 A film as epic and rich as Sergio Leone's imagination, Once Upon a Time in America sits at the head table of gangster movies. It is an extraordinary motion picture, from the way Leone follows his characters' meteoric rise in the criminal underworld to its stunning re-creation of early 20th century America, captured so vividly by cinematographer Tonino Delli Colli. It’s 1933, and Jewish gangster David “Noodles” Aronson (masterful performance by Robert De Niro) escapes New York after being betrayed and the death of his close friends. He stops at an Asian-run den to smoke opium and get a soothing massage, which puts him in a dreamlike state of mind. Cut to 1968, when Noodles receives a letter warning him that the bodies of several dead friends are going to be moved as a new cemetery is being built. Noodles returns to New York, where he reconnects with his childhood friend, Fat Moe. Noodles then begins to reminisce about his childhood at the turn of the century, in Brooklyn, growing up in a heavily dominated Jewish neighborhood. 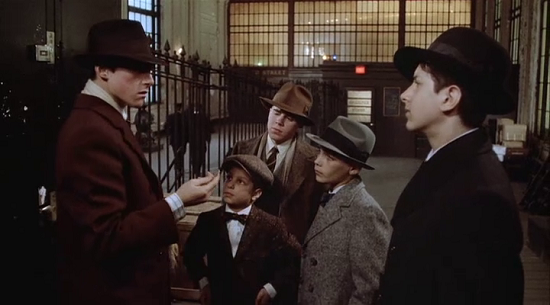 Growing up in the Depression brings poverty, boredom and desperation, leading the boys into a life of petty crime. We witness as he is sent down to murder a local criminal, who had killed another of his boyhood’s pals. Emerging from prison unchanged, Noodles becomes, alongside his friend Max (James Woods), a player in the bootlegging business during the Prohibition era. In the last reel, set at the present narrative time, Noodles pays a visit Secretary Bailey, now a “respectable” member of the government, who turns out to be Max himself; Max had faked his own death on the night Noodles ran away. 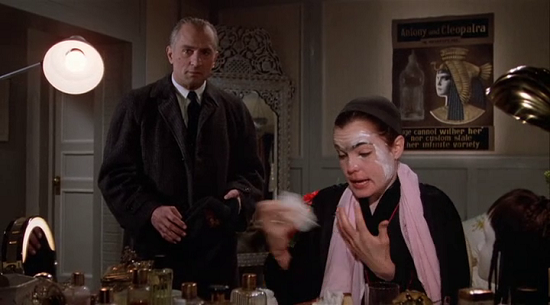 On one level, Once Upon a Time in America is a triangular tale of the temperamental, borderline psychotic Max, the seemingly quiet Noodles, and the girl/woman they both love for decades, Deborah (Elizabeth McGovern), ever since they were children (the young Deborah is played by Jennifer Connelly). 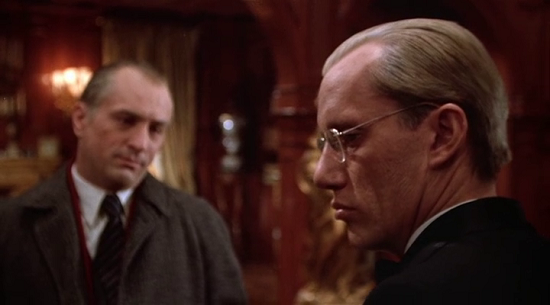 A resonant, complex movie that, Once Upon a Time in America is more like an elegiac poem about the price paid or succumbing completely and uncritically to the tenets of the American Dream. As a male-camaraderie story, the film presents Noodles and Max as polar opposites, who are nonetheless inextricably bound to one another by shared dreams and fantasies of power, fame, monetary success, and conspicuous consumption. There is also a fine mix of delusion and reality in this movie. 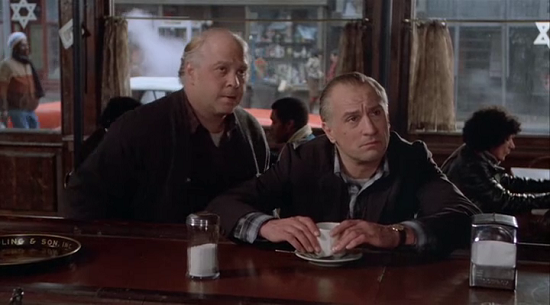 The film follows the elderly Noodles after he’s mysteriously called back to New York. In Noodles’ lengthy odyssey, illusions become delusions, and dreams are shattered, as a result of greed, treachery, and unbridled individualism. This is especially clear after Noodles discovers that what he thought was real was just a fraud, a carefully-planned deceit. Quite impressively, the film’s theme, structure, mood, and visual style are congruent, each element dependant in and reinforcing the other. The film moves back and forth in a tapestry of episodes, which all fit together into an emotional whole. Indeed, the deliberate pacing and elaborate style evoke Noodles’ own dreamlike state of mind. Noodles is increasingly lost in his own milieu, never really achieving full control. The final image of a stoned Noodles smiling at the camera in an opium den (same as when the film began) is ambiguous and open to interpretation. Elegiac, sprawling, and visually stunning, Once Upon a Time in America is a self-conscious work, both a good crime-gangster tale, and at the same time commentary (both wry and ironic) on that genre and its evolution by focusing on four characters and their evolution/devolution over time. The movie blend successfully codes of realism, surrealism and magic realism: Leon immerses the viewer in the dark, dreary world of the characters, ill-educated, brutal and even primitive men. The score composed by Ennio Morricone is among his finest ever, often relying on the gentle sound of a solitary flute to speak for the wounded souls of the film's protagonists. There are quiet, special moments, like when a young Noodles (played by Scott Tiler) peers at Deborah (Jennifer Connelly) through a peephole as she practices her dancing, or when Max meets Noodles outside the prison gates, a light rain adding a sense of melancholy to an otherwise happy reunion. There’s even magic in the violence, which Leone handles with his usual gusto. 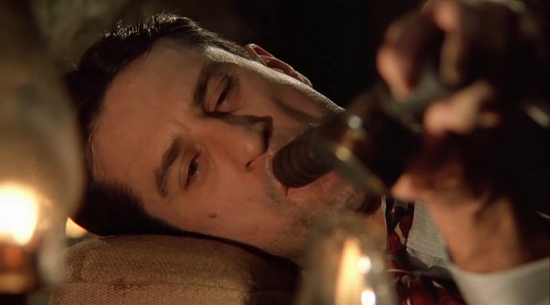 Once Upon a Time in America is a movie to cherish, a true work of art, and to dedicate nearly four hours to such a film is, in my opinion, a small sacrifice to make.